Alchinol D 15 / Hydorol D 15 | Conservation Materials | Solvents, Chemicals & Additives | Kremer Pigments Inc.
S61: Avoid release to the environment. Refer to special instructions / Safety data sheets. 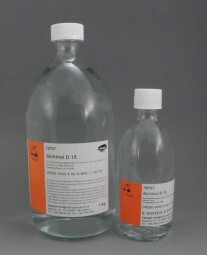 Customer evaluation for "Alchinol D 15 / Hydorol D 15"